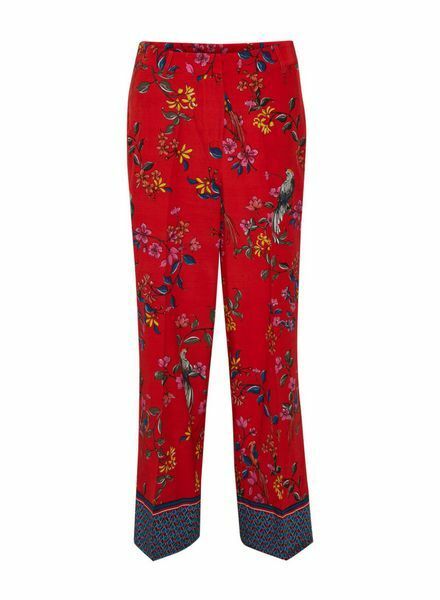 Lovely viscose trousers in a beautiful floral print. The trousers have a regular fit, with belt loops and they do up at the front by a clasp and an invisible zip. The trousers have side pockets and 2 double welt back pockets.